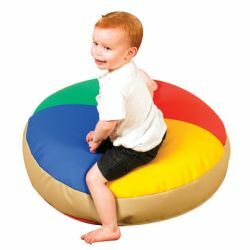 The 30″ Soft Touch Pouf gives kids a bright and comfy place to read. 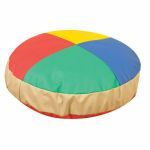 Shredded foam filling and environmentally friendly polyurethane cover gives pouf a soft yet supportive feel. Cushion is great for relaxing and quiet time. PVC free and easy to wipe clean and disinfect.